Are you looking for a place to indulge your late night food cravings on a Wednesday night? Or you can’t wait until the weekend to visit your favorite late night food markets? Then Midnight Mercato, Metro Manila’s premiere late night weekend food market, will be open on Wednesday nights starting February 29 to answer your foodie call! Indulge in the Midnight Mercato experience and enjoy an extensive selection of foodie favorites - steamed cheeseburgers, crunchy pork belly, wagyu steak on a sticks, deep dish pizzas, authentic Vigan empanadas, ice-cream filled mochi balls, specialty milk teas, dark lager beer cheesecakes – straight from the kitchens of home-based and specialty chefs, while enjoying live acoustic performances and free wi-fi. Wednesday Midnight Mercato is perfect way to celebrate the middle of the week! Midnght Mercato is open from 10:00pm to 3:00am every Friday, Saturday and Wednesday (starting February 29) and Mercato Centrale is open every Saturday and Sunday from 7:00am to 2:00pm. 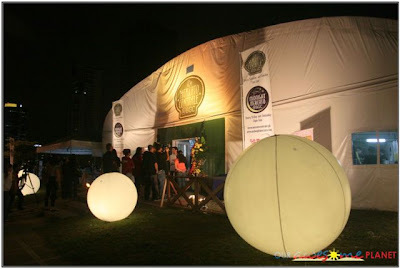 Midnight Mercato is located at the corner of 34th street and 8th avenue beside MC Home Depot in Bonifacio Global City. For more information, please visit their website www.midnightmercato.com or their Facebook account www.facebook.com/mercatocentrale. For vendor booth rental or venue rental inquiries, please email admin@mercatocentrale.ph or text 09178401152.